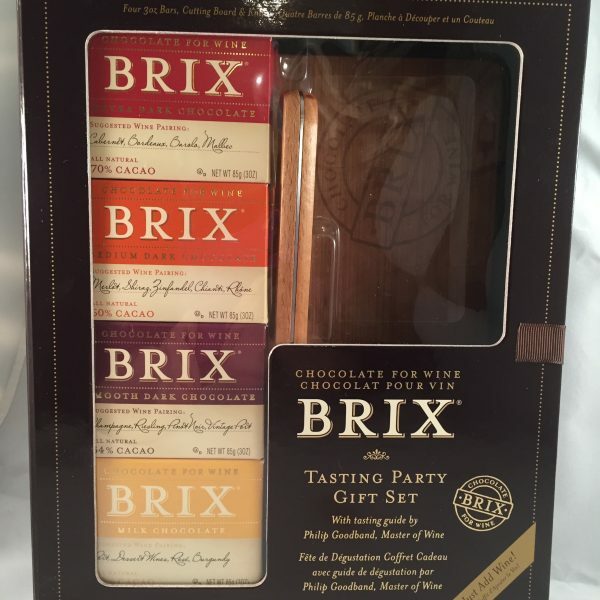 BRIX Chocolate for Wine – specifically blended chocolates to complement wine. Drawing upon its unique red fruit tones, BRIX blends single origin Ghanaian chocolate to subdue the loudest tannins and arouse the nuances of fruit-forward wines in a memorable pairing.  The result – a blend so pure in flavour it actually enhances the subtleties of great wines without muddling the palate. 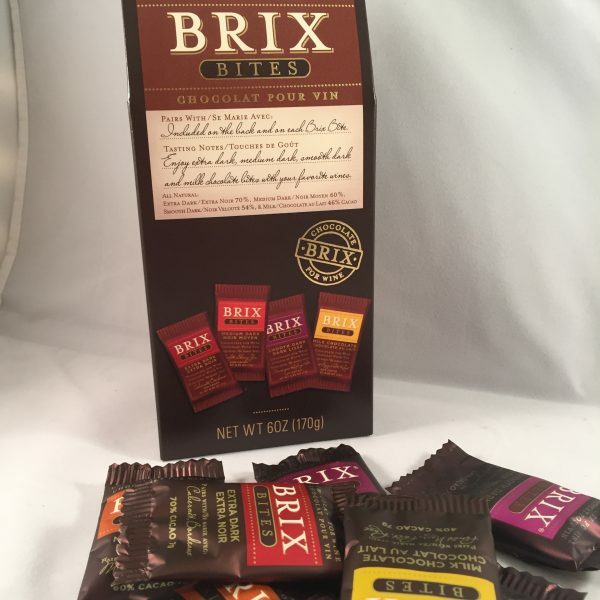 Sold in eight-ounce, 227gram bricks (or four-ounce in the BRIX Collection), BRIX is meant to be fractured like a hard cheese into discreet, luscious bites. 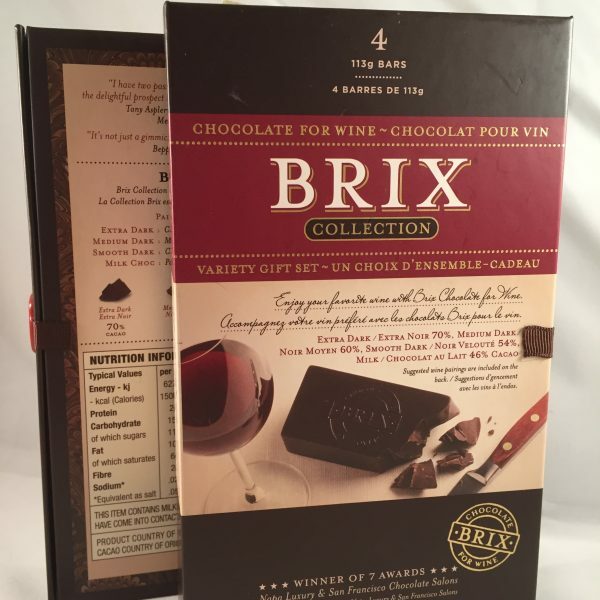 Make a unique addition to your dessert menu, serving BRIX Bites chocolate with a selection of wines and bringing the theatre of wine and chocolate tasting to your dining table.